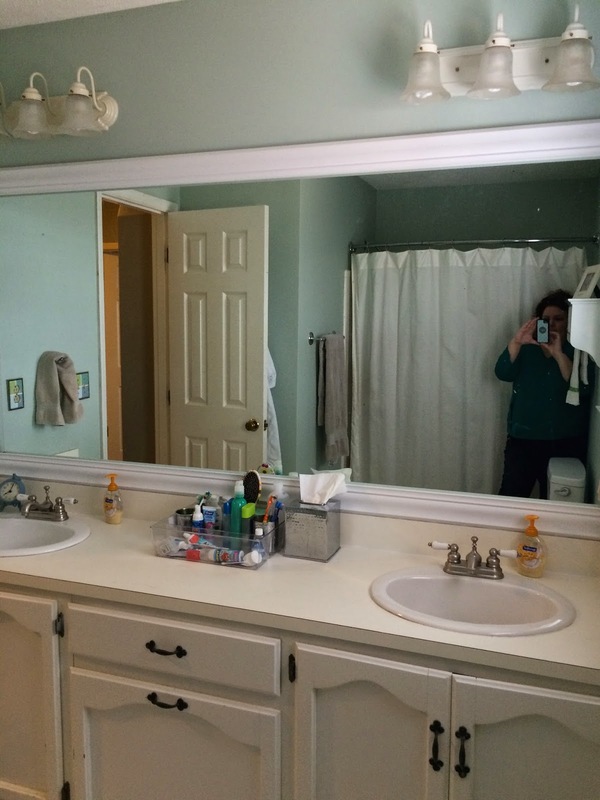 This isn't actually going to be much of a Before & After. Reason being, I wasn't even really thinking about it when I started. 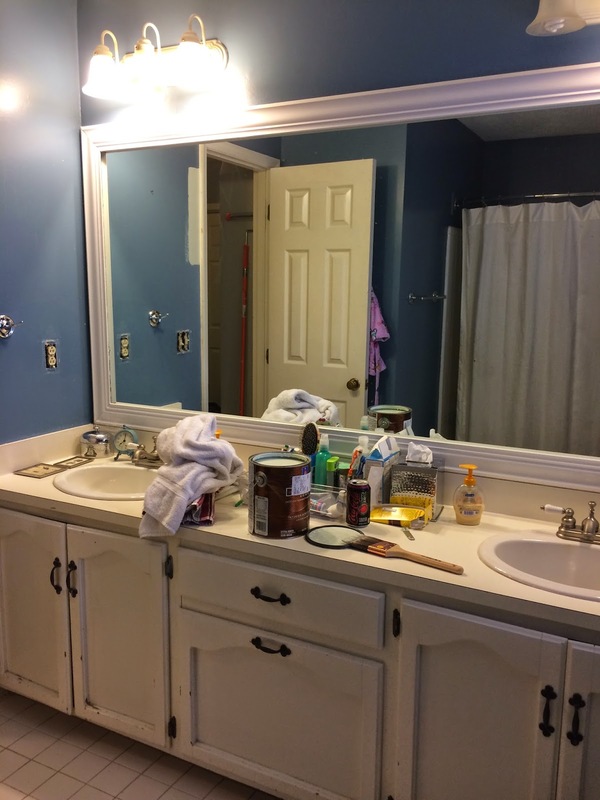 I'd already taken everything off the walls, made a complete mess of the countertop and even started cutting in around the door when I gave the first thought to taking any Before pictures for you. I've been so consumed with the new house that I forgot that you might care about anything I'm doing around HERE. 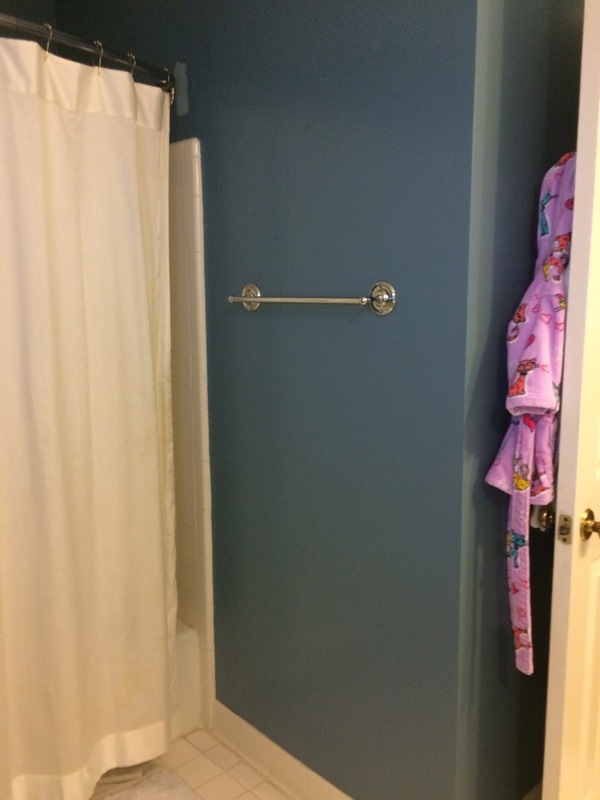 Basically, when I asked my neighbor Stephen to install a new hotel shower rod for me a couple of months ago, that necessitated a touch-up paint job. But of course I decided that I didn't want to just touch it up ... I wanted to update the color completely. It was kind of a Wedgwood blue? I don't know. At any rate, it had been that color -- a really saturated blue -- for 15 years. It was past overdue for a change. I wanted to try out Ben Moore's Palladian Blue, which is a great blue-green that reminds me of spa treatments. 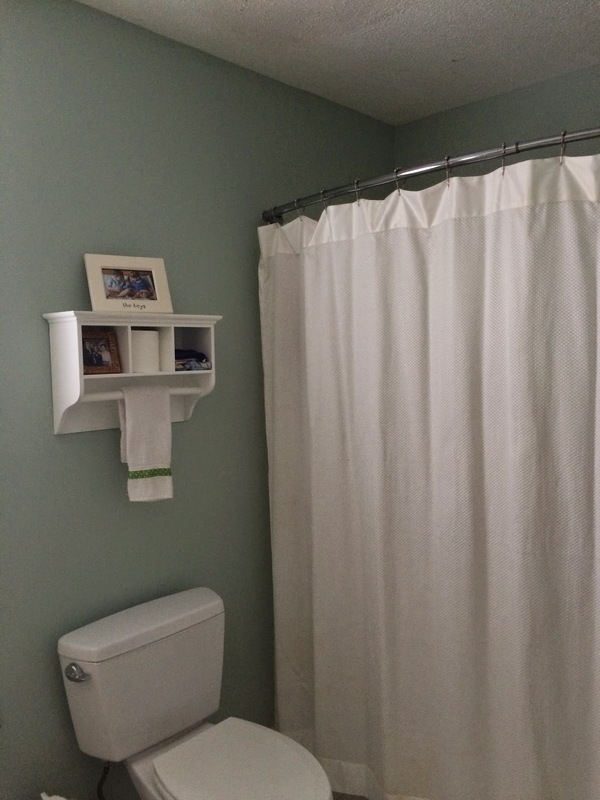 Great for bathrooms and laundry rooms -- the two areas where I'm planning to use it in the new house. The main reason I wanted to lighten it up a little is to make the room feel bigger. 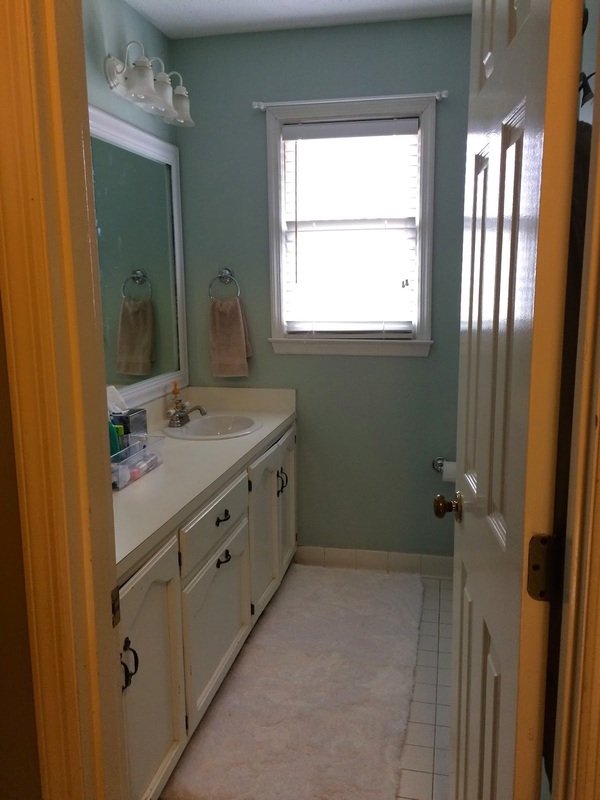 It's not a small bathroom, by any means, but the darker color made it feel smaller than it is. 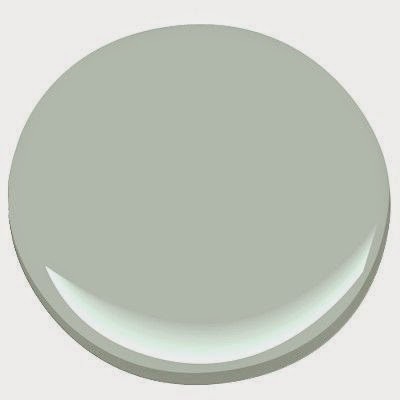 The other reason is that I wanted to use a cooler color that works with the new palette in the house. 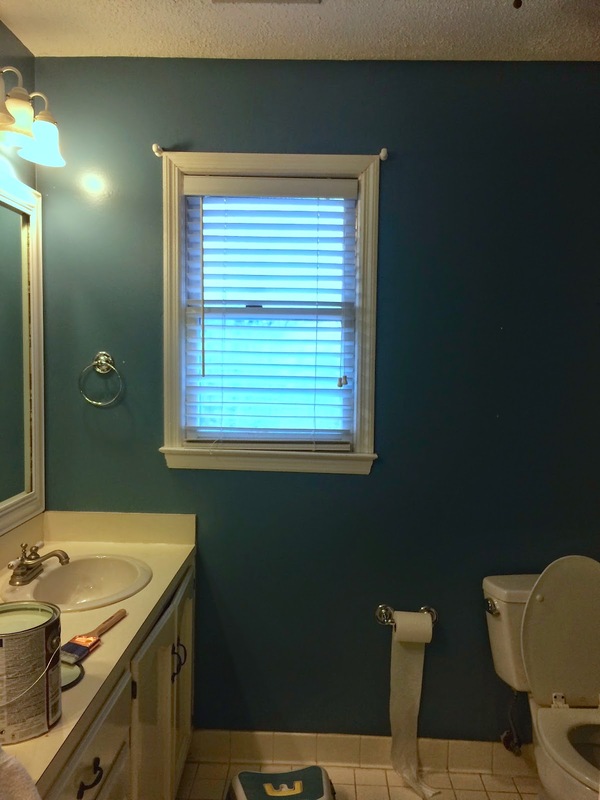 Palladian Blue fits the bill. And here's one more that's a good view of what greets you as you walk in the door to the bathroom. To me, it's just a much more calming view. 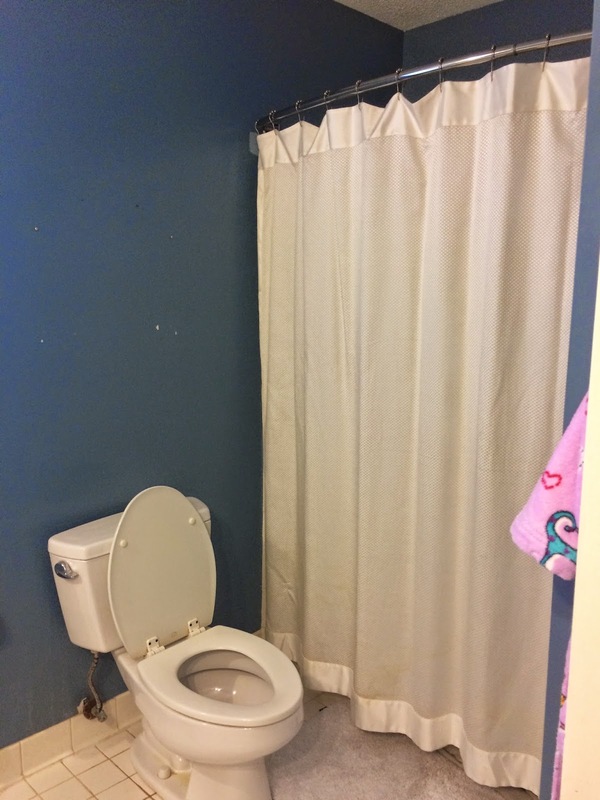 I used to have a valance hanging from that white rod, but I couldn't find a cute one to match the new paint, and I don't want to pay to have a custom one made at this point. Still, the rod is plain and matches the trim in the room, so I'll leave it up for the future buyers. 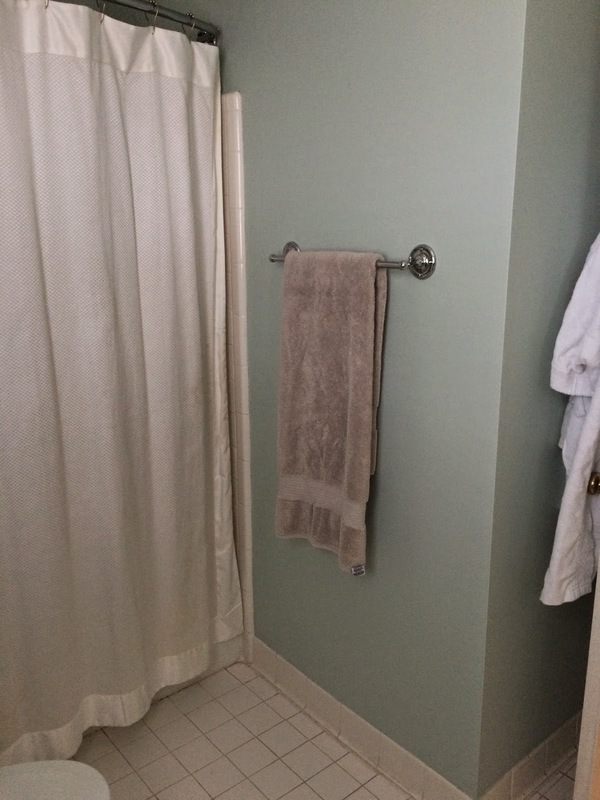 Nick has since deemed their bathroom "ugly" and Grayson says the old color "had more personality." GOOD THING I'M THE ONE RUNNING THE SHOW AROUND HERE.